On a recommendation at the Book Fair, I picked up *The Pastel City* by M. John Harrison. Set in a “dying earth” style story, in a time where a new empire has risen among the ruins of the preceding civilisation. And that civilisations technology and effect on the environment is still felt even in the millennia after their decline. The focus of the story is on former knight tegus-Cromis, who returns to service when the empire he once served is under attack by a rival noble. Cromis joins a battle force to combat the invading army, but find they have awaken devastating machines from the previous culture. M. John Harrison writes in this concise way, light on descriptions, providing only the bare necessities to a character, landscape or scene. The story is classic pulp sci-fi/fantasy fare, which now that I think about it, is very similar to Prophet. The book engaged me enough that I almost missed my bus stop for work multiple times. It is worth your time. The book is the first in a sequence, of which I have the last, Viriconium Nights. Its a collection of short stories and a few read like early drafts of the first book. And I have yet to see how the remaining middle books pan out. 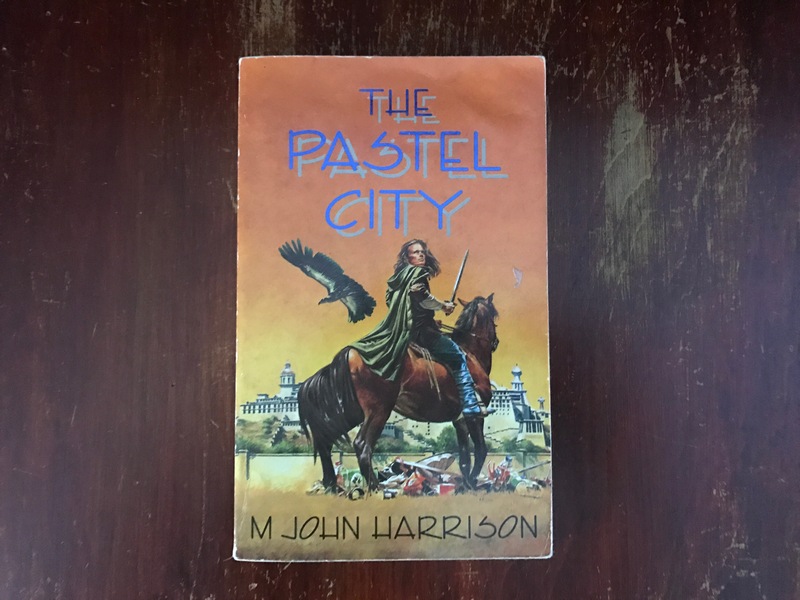 This entry was posted in books and tagged books, m john harrison, the pastel city. Bookmark the permalink.